Plant downtime due to equipment failure is a costly disturbance to operations. Luckily we’re working on new cost-effective and energy and water-efficient solutions. Your car has conked out and it needs fixing. It hurts a bit. You need an alternate plan for getting from A to B. And, that new camshaft is so damn expensive! Maintenance costs are inevitable and are part of keeping any hard working machinery in good nick. But, it’s rarely a welcome expense. It hurts for industry too when plant equipment and parts succumb to wear and tear – not just for the costly replacement of parts, but production losses due to the need to shut down operations for maintenance. In fact, a single shut down can cost well over $10 million in lost production time. New solutions that can extend the life of critical parts and equipment used in mineral processing plants are understandably in demand. Not only can these solutions save the industry millions of dollars, they can also improve an operation’s environmental performance by significantly increasing energy and water efficiencies. We’ve got a few clever solutions up our sleeves to combat plant wear and tear, and they are have been delivering great results to mineral operations around the world for years. 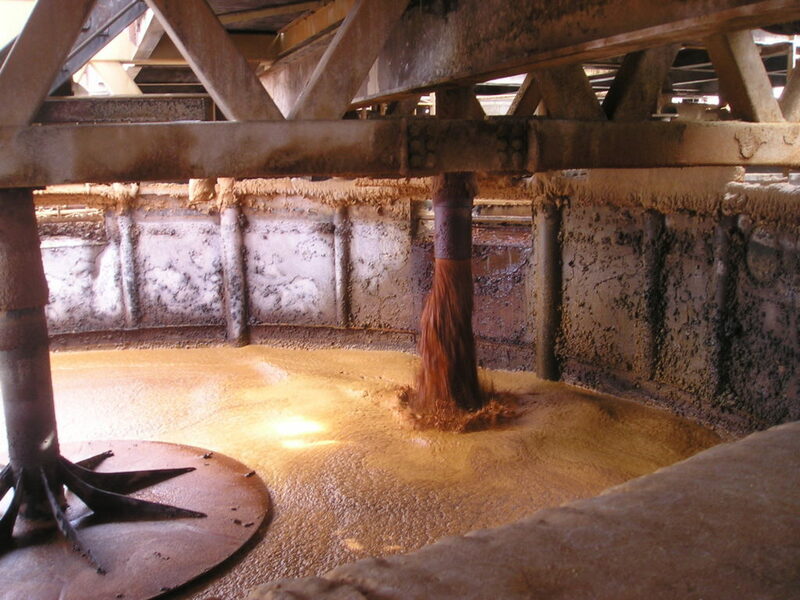 Many mineral processes rely on suspending materials in a mixing tank using massive impellers. The traditional equipment and process is not entirely efficient and problems often arise from mechanical failure, such as breakage of blades, shaft and gearbox, wear of impeller blades, bogging and scale build-up. So we developed a better performing mixing tank system called Swirl Flow that improves the impeller. The solution, which can be retrofitted to existing tanks, simplifies and improves the process by mixing liquids and suspended solids to create a tornado‑like vortex within the vessel. Placing a single impeller at the top of the tank improves reliability, makes it easier to clean and prevents erosion to the blades. As it’s much more efficient, Swirl Flow is helping the minerals industry reduce carbon emissions and make millions of dollars’ worth of productivity improvements. 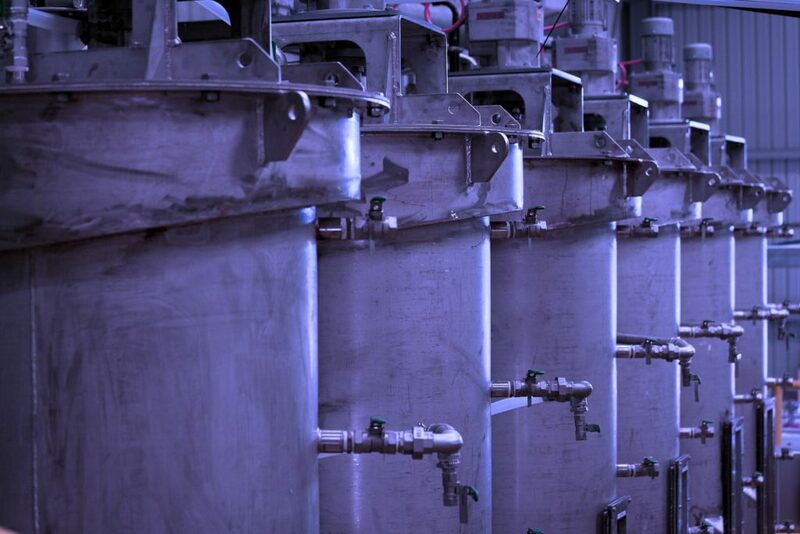 Our solution for mixing tanks creates a tornado effect to improve efficiencies. By reducing water content, power demand and pumping inefficiencies operations can make significant cost and environmental improvements. That’s why we developed a solution to reduce friction or the ‘drag effect’ during pumping processes, which was adopted by Glencore’s Minara Resources at their Murrin Murrin nickel operation. The clever solution introduces a thin, uniform and long-lasting ring of fluid on the inside of the pipe so that thick material can be efficiently pumped without friction and at high production rates. By reducing the drag effect, mining operations can save millions of dollars on energy and water use each year, while boosting their productivity. Building on our track record in fluids engineering, we’re continuing to tackle the challenge in a new collaborative project involving Callidus Welding Solutions, Deakin University, Newcrest Mining and Murrin Murrin Operations. Announced by Jobs and Innovation Minister Michaelia Cash last week, the project has received Federal Government funding, and is seeking to extend the life of turbines for use in high temperature and pressure environments like autoclaves used in gold and nickel processing. If successful, it could help to save the industry millions of dollars. We’re working on a range of energy and water-efficient solutions to reduce costs, increase productivity, lower health and safety risks for global minerals processing operations.